Skills: Product development; bespoke publications; contract publishing; team building; leadership; commissioning; editing; writing; design; and production. Plus: His ability to take projects all the way from concept to completion. He has written, designed, produced, and published magazines single-handedly, and managed teams of up to 20 staff. Successes: Chris has launched several magazines and websites, and edited a number of leading business, IT, and consumer titles during their most successful periods. 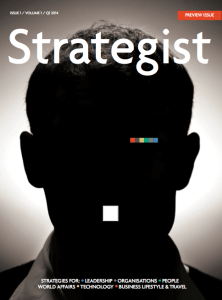 He conceived, designed, and launched Strategist magazine and iamtheStrategist.com. Market awareness: Chris knows how to make both digital and boutique print projects successful. (Present) Internet of Business: Contributing editor; Computing: consulting editor (editor at large); diginomica: contributing editor; Hack and Craft News: contributing editor. (Past) Internet of Business: Editor; Computing: editor; deputy editor; Computer Business Review (CBR): editor; deputy editor; Professional Outsourcing: co-founding managing editor; Child Internet Safety: co-founding editor; UCInsight.com: Co-editor (with Gary Eastwood); Sourcingfocus.com: co-founding editor; Business & Technology: features editor; production editor; Corporate Networks: features editor; Network Reseller Magazine: production editor; The Bookseller: production editor; Thinking Cloud for Government: production editor. Chris launched Professional Outsourcing magazine (now known as Intelligent Sourcing), Child Internet Safety, and Sourcingfocus.com for his clients. 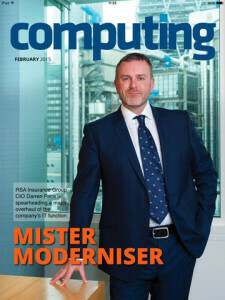 Chris was editor of one of the UK’s leading IT monthlies, Computer Business Review, in its most successful year, which saw the launches of a Mandarin edition in China and a range of successful supplements. He built a new editorial team, and together they secured $4 million in venture capital investment. Chris trained many of the current editorial team at Computing in his time as editor. Chris developed, designed, launched, and managed Professional Outsourcing from scratch for its publishers, along with a series of successful boutique events and supplements. The title grew with every issue: from 48 pages and seven ads in Issue 1, to 96 pages, 31 ads, a standalone supplement, and 10 corporate sponsors per issue by the time he left. 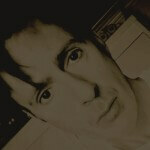 Chris is founder, editor-in-chief, and designer of Strategist magazine and iamtheStrategist.com. He conceived, researched, edited, produced, and launched both titles independently. As (freelance) editor of Internet of Business (.com) for Vinelake in 2018, Chris doubled the site’s readership year on year, significantly increased engagement, oversaw a soft relaunch of the site, brought onboard a number of new writers, and introduced the ‘Internet of Business says’ feature, which turns every story into an independent analysis.